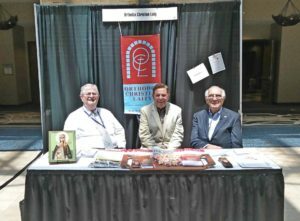 Roy Snyder, George Matsoukas and George Karcazes at the OCL Display Booth. They attended the opening session of the 19th All American Council in St. Louis, Missouri on July 24, and were inspired by the tribute to Fr Alexander Schmemmen and the theme of the conference: “For the Life of the World”. 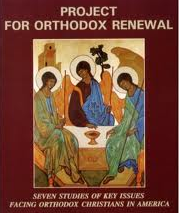 Metropoliam Tihkon presented his vision of the Four Pillars as a guide for the future of the OCA. 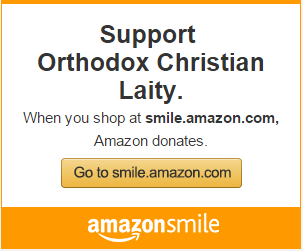 Next Article ORTHODOXY IN AMERICA: BROKEN PROMISES AND SHATTERED DREAMS?